As we kind-of knew already, Sky will be sending all manner of Ultra HD broadcasts to Sky Q from August. Ultra HD will be a pretty serious business for Sky and the message is that it's not just about sport – although there will be a whopping BT-beating 124 live Premier League games in Ultra HD this coming Premier League season. Starting with Leicester vs Hull on 13 August, Sky's Ultra HD offering will include films, natural history documentaries and dramas. There will also be over 70 movies, including the world premiere of Spectre in Ultra HD, The Revenant, and The Martian (which we've seen before in Ultra HD – it's ace). Five new dramas will also be available in Ultra HD including The Young Pope starring Jude Law and Series 4 of The Blacklist. There will also be plenty of natural history and documentaries, including David Attenborough's Conquest of the Skies and Sky 1's Big Cats, which we saw in Ultra HD at Sky's demo. In terms of sport - as well as all that footy - every 2017 Formula 1 race will also be available in Ultra HD on Sky Sports F1. Sorry, but there's no word on any cricket, rugby or anything else as yet. At the demo we were also shown some natty enhancements to the Sky Q interface including the ability to scroll through programmes much more easily - even minute-by-minute should you want to. To watch Ultra HD, you'll need the Sky Q Silver box and subscription, and a compatible Ultra HD TV of course. You'll need an Ultra HD TV that supports 2160p at 50 frames per second and HDCP 2.2. 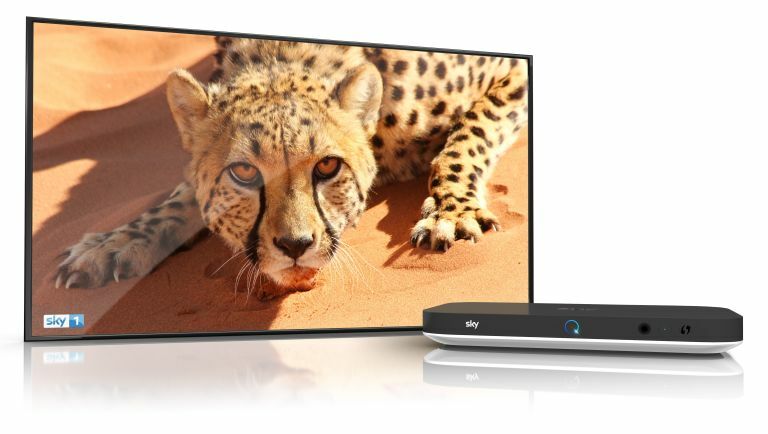 As well as the Silver box, you will also need the Sky Q Silver bundle (yes, it is actually possible to have one without the other) to enjoy watching documentaries and entertainment, plus Sky Sports and Sky Cinema subscriptions to watch sports and movies in Ultra HD. Sky Store movies can be rented by anyone with a Sky Q Silver box, whatever package you're on. I've got the Silver box and Silver bundle Do I need to do anything else? You will need to set your box resolution to 2160p (4K Ultra HD) rather than 1080p (Full HD). There will be a box update towards the end of July and you can do the set up any time after that – simply go to Settings > Setup > Audio Visual > and select 2160p. If you do not set up you will be prompted to do it when when you attempt to view in Ultra HD - press the red button and follow the on screen instructions. Our guide to all the bundles and boxes: Sky Q price, availability and more. How can you access Ultra HD content on screen? Firstly, it's not like it was with Sky Sports HD, or even Sky Sports 3D. There's no separate channel for Ultra HD content. When you tune into a channel with a live programme available in Ultra HD a prompt will appear on screen. Select the prompt and you'll be taken directly to the Ultra HD live broadcast. You can change between watching the HD and Ultra HD broadcast at any time through the Mini Guide. To watch sports live or find sports coming up over the next seven days, go to the Sky Sports Home Page, select Ultra HD and you can tune in live or book a recording. Movies, documentaries, drama and entertainment are all available On Demand in Ultra HD. Go to the relevant section in the Home Page, select the Ultra HD tab and start downloading. For Sky Cinema, go to Home > Sky Cinema > Ultra HD and browse for movies you'd like to download and watch. For box sets go to Home > Sky Box Sets > Ultra HD. For Sky Store rental movies go to Home > Sky Store > Featured > Ultra HD. For Catch Up go to Home > Catch up > Featured > Channel (e.g. Sky Atlantic) > Ultra HD. This is where you'll find series, drama and entertainment currently broadcasting or broadcast in the last 30 days. You can also watch sports in Ultra HD through the sports red button application. A wide selection of natural history and documentaries, from Sky's David Attenborough catalogue, to Sky 1's Big Cats: An Amazing Animal Family and brand new Monkeys: An Amazing Animal Family, as well as Richard Hammond's Jungle Quest. Plus other entertainment, including comedy series The Trip To Spain starring Steve Coogan and Rob Brydon, Sky Arts' Landscape Artist of the Year 2016 and Blur in concert.